Renters can save thousands of dollars by renewing a lease instead of moving to a new rental, according to a recently released analysis by Zillow—a golden opportunity to put savings toward a down payment on a home. Researchers arrived at an average $3,946 in savings by assessing the most recent rent data from the U.S. Census Bureau. 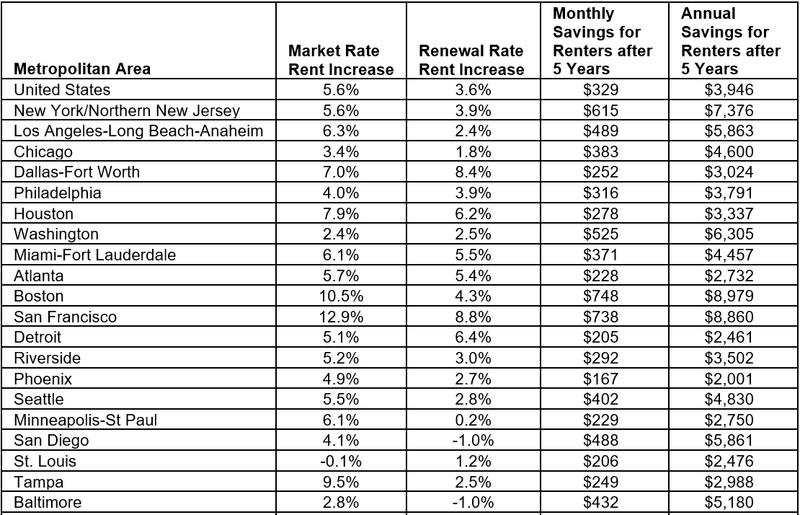 Their findings reveal that the market rate rent rose more than the rent for a tenant who remained in the same rental for five years or more: 5.6 percent versus 3.6 percent between 2014 and 2015.